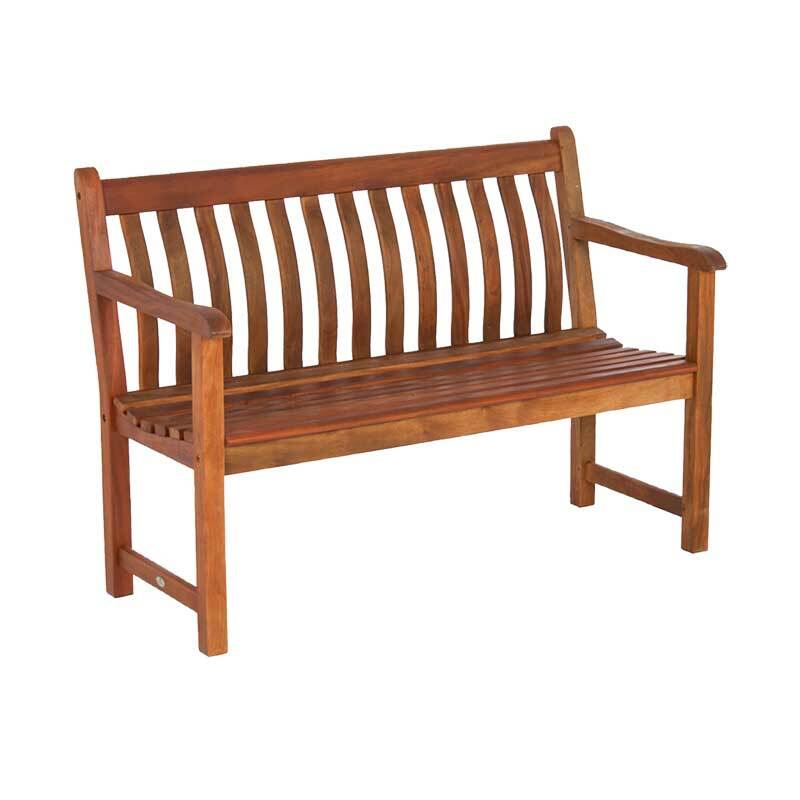 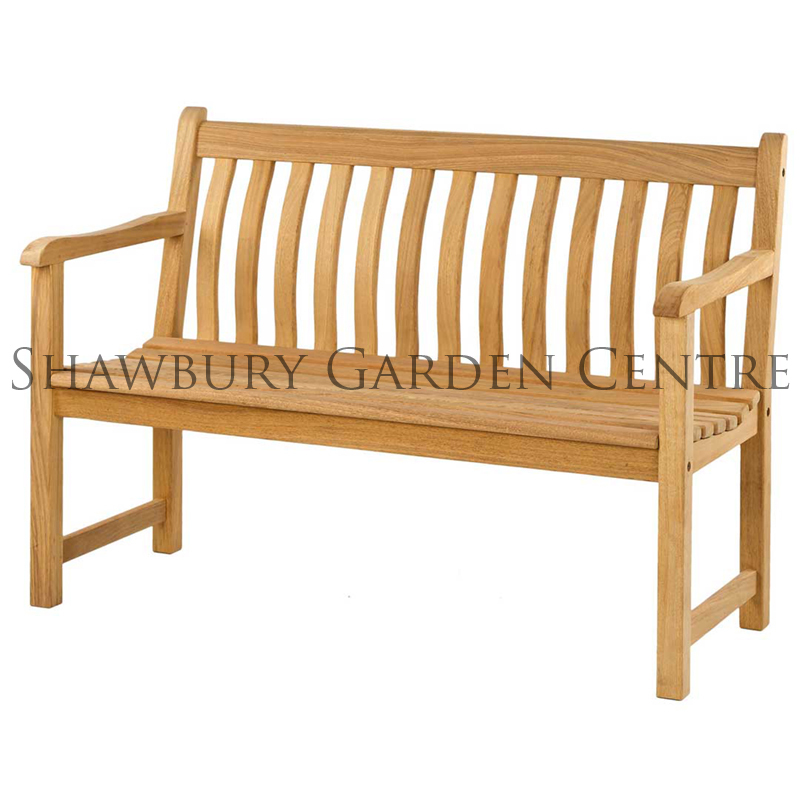 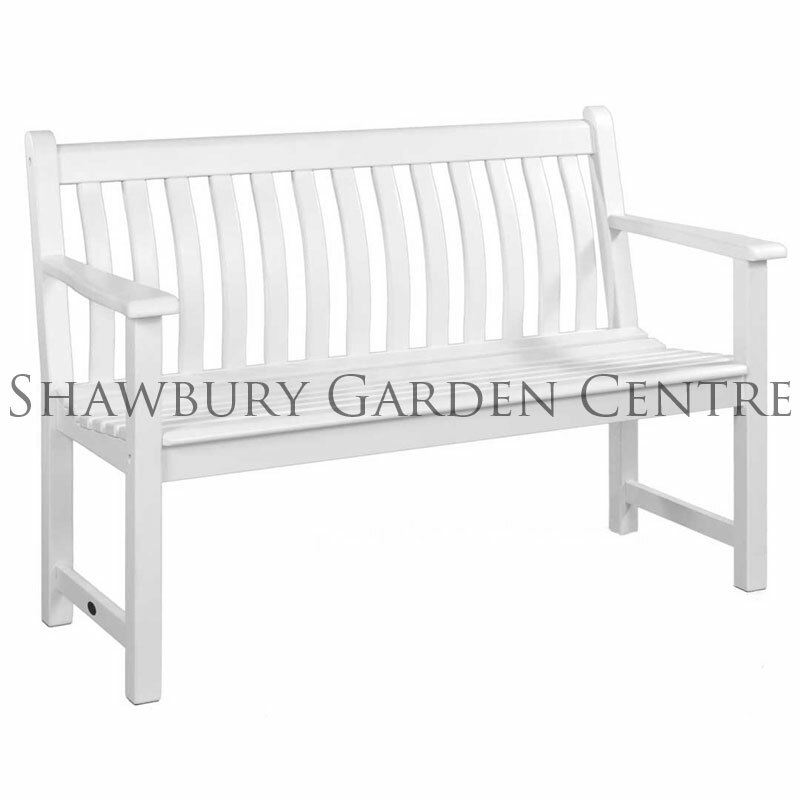 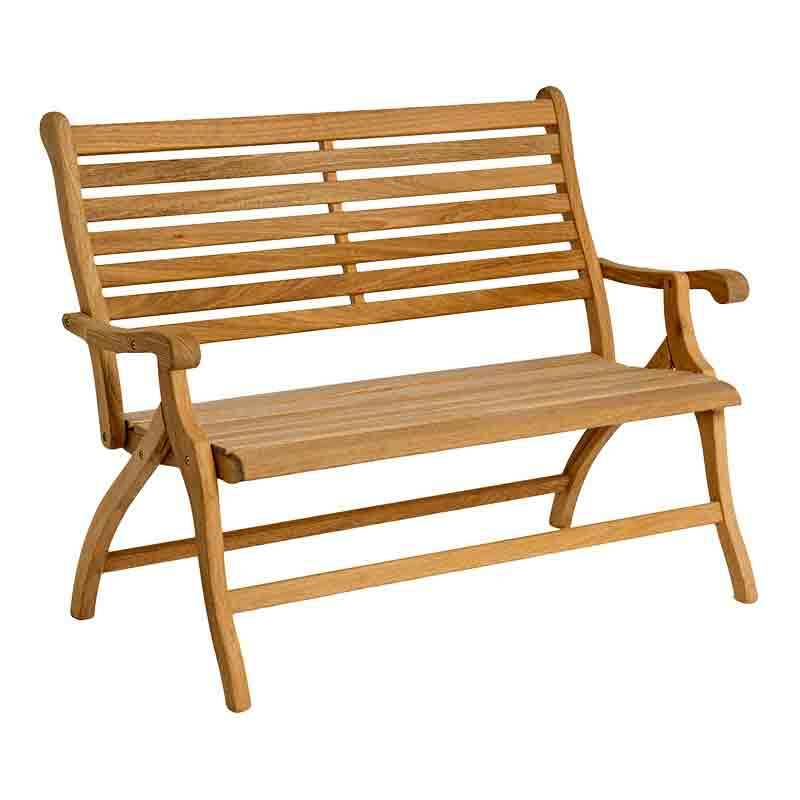 4ft/two seater hardwood garden bench with a white polyurethane paint finish. 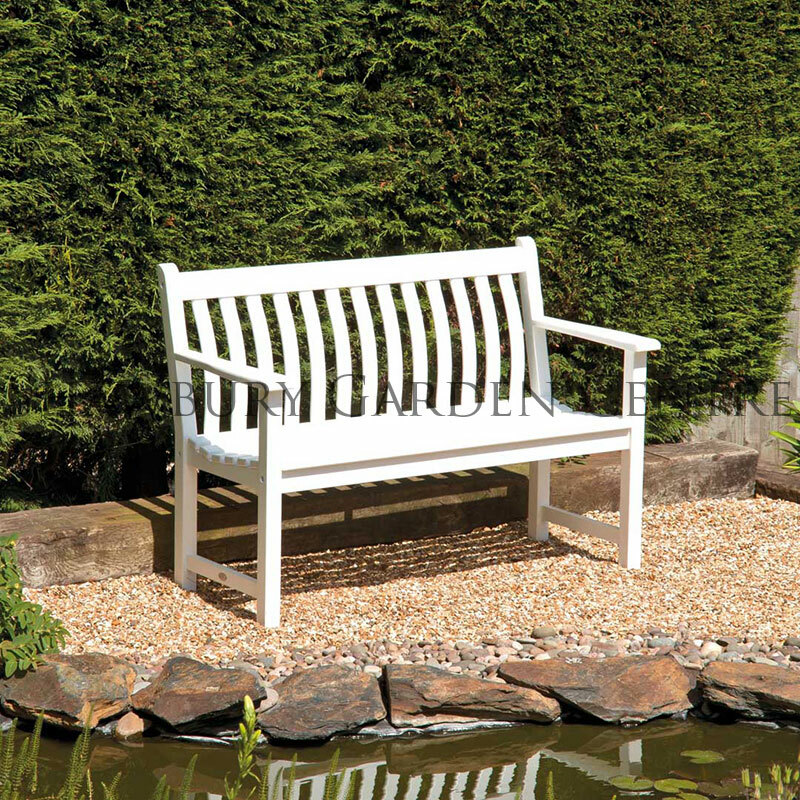 Whilst timber garden benches blend in beautifully with their surroundings, white garden benches can really 'lift' a garden scheme, providing a stunning focal feature, whatever the weather! 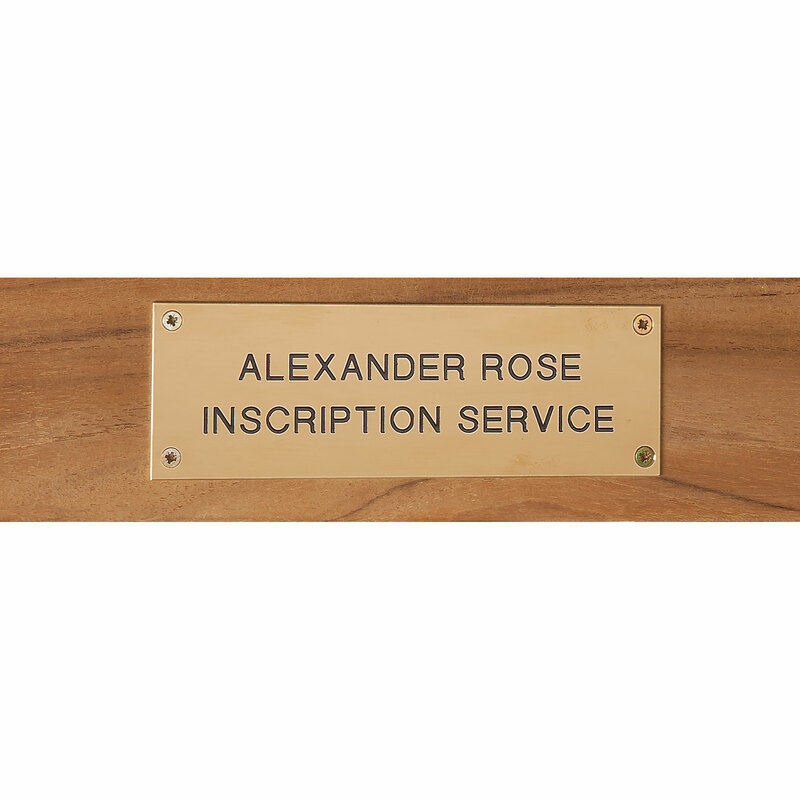 Alexander Rose New England furniture has a stunning matt white finish created by the application of two coats of polyurethane paint over the Eucalyptus hardwood timber. 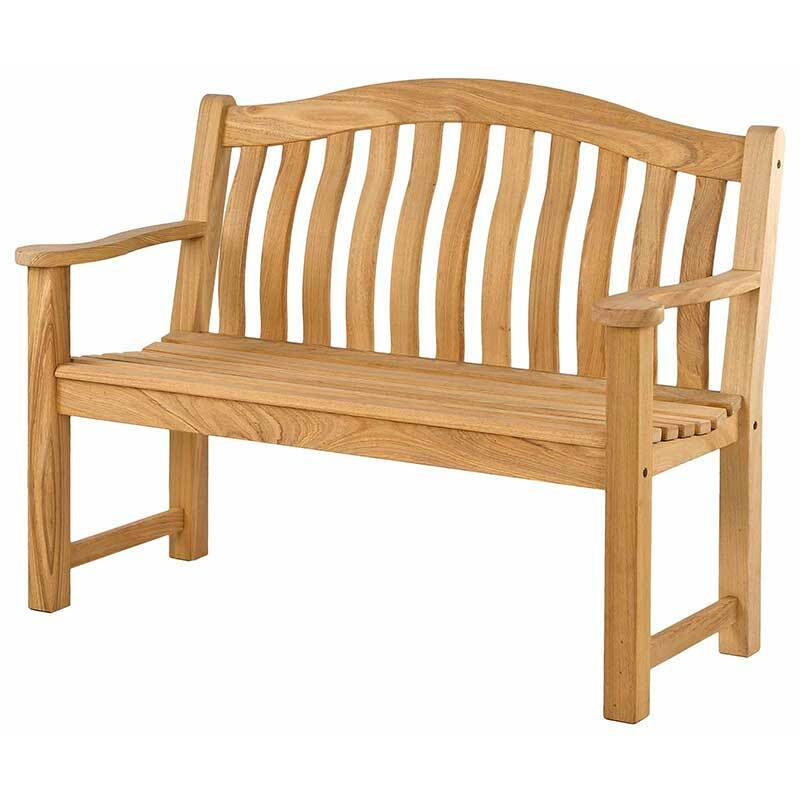 After time there may be hairline cracks in the finish due to timber expansion and contraction, caused by climatic variation. 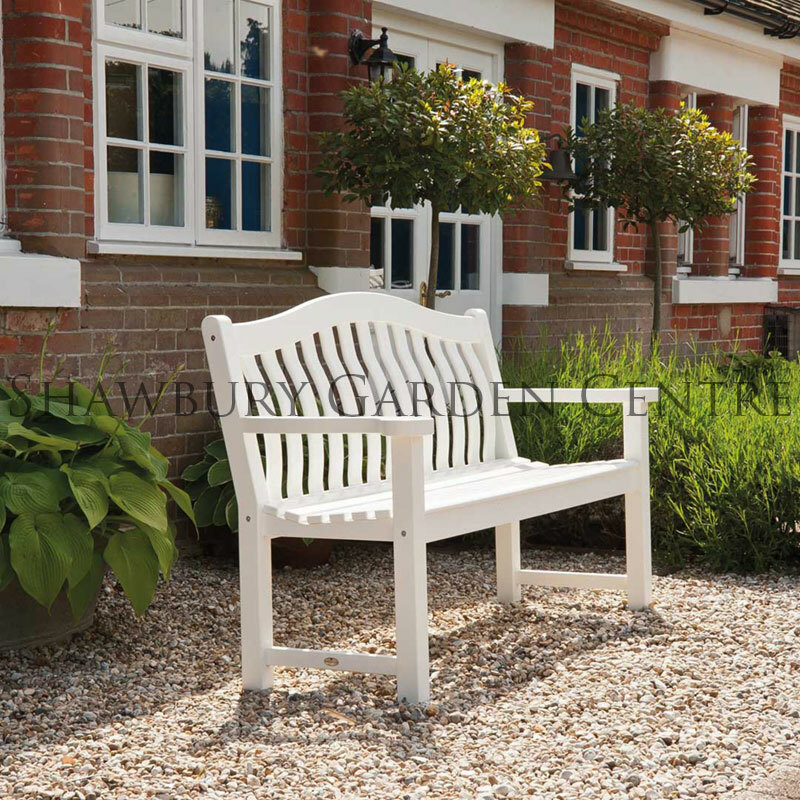 To maintain the finish, sand down any effected areas back to the natural timber (a reddish colour), then re-apply a white matt polyurethane paint. 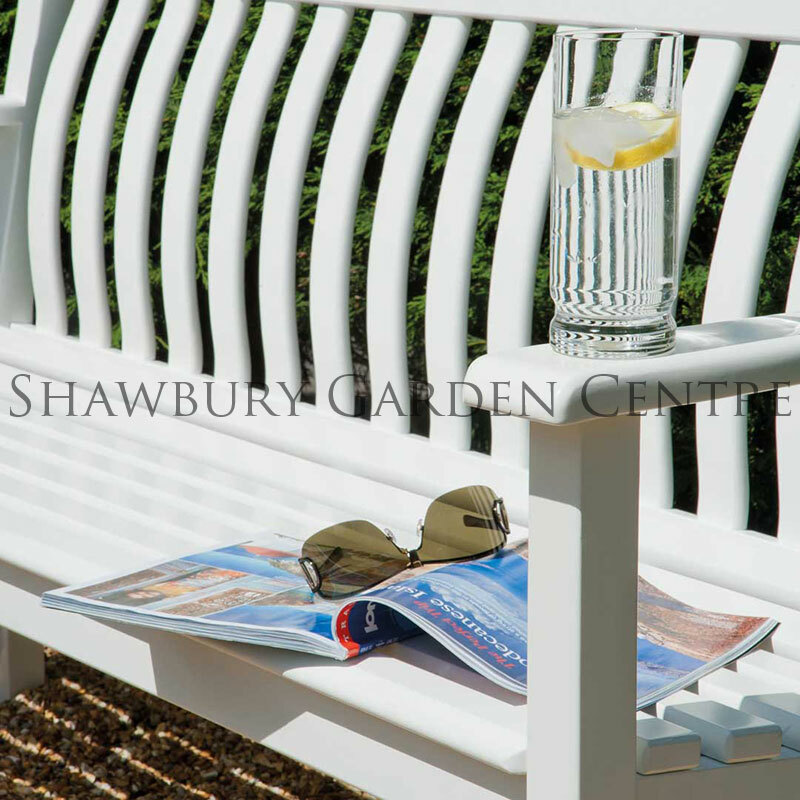 Polyurethane paint can be purchased from any DIY or Hardware Store, if you are unsure about what paint to use, please contact Alexander Rose. 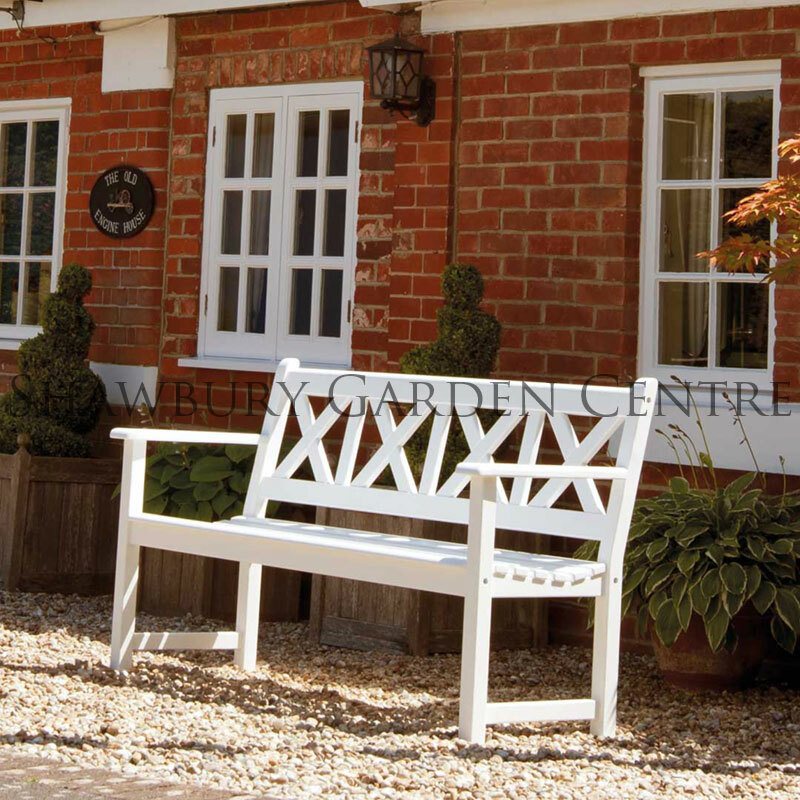 Alexander Rose New England furniture has a stunning matt white finish created by the application of two coats of polyurethane paint over the Eucalyptus hardwood timber. 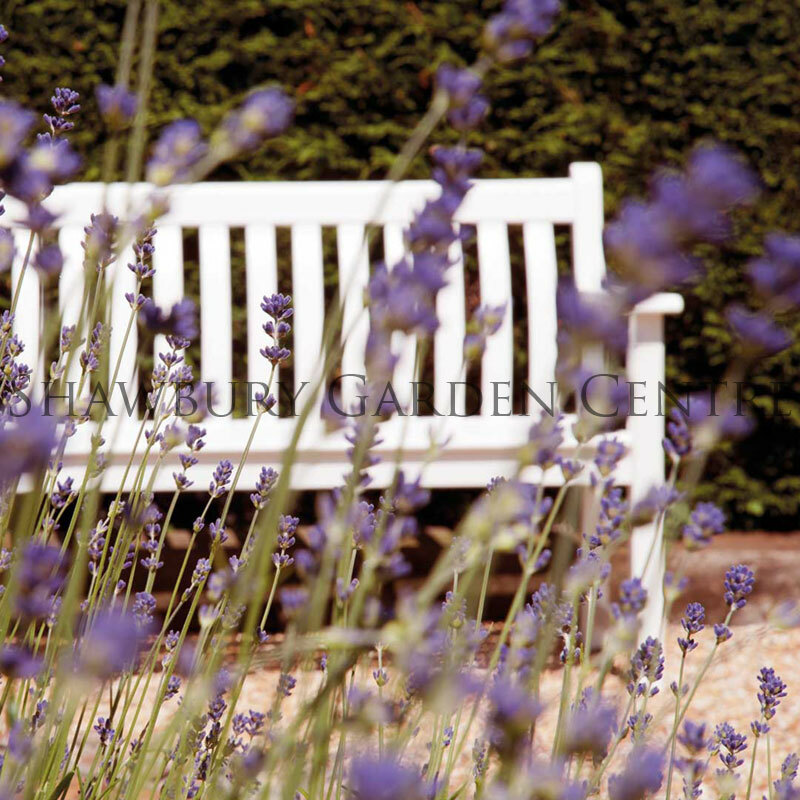 View the complete New England Collection.